What was Paul’s seeming obsession with death? “Dying daily” and “Crucified with Christ” are very descriptive, and honestly, a little depressing if read out of context. But Paul discovered an important principle of growth and advancement of God’s divine purpose in our lives; in order to bring certain things to life, one must allow a part of themselves to die. I don’t pretend to understand exactly how this works, but I know about the law of saturation. Our lives can only handle so much. We juggle priorities, or what we think are priorities, we shift responsibilities, and we struggle to keep up. We lack margin in our lives but margin is where we get rest. Margin is where we create. Margin is where we can add new habits, new discoveries, new insight, and even new relationships. One such relationship that continuously requires cultivating is our relationship with God. But God is not content to dwell in just the margins of our lives. So, my question is, what are you willing to allow to die in order to give life to a fresh relationship with God? What part of yourself are you willing to crucify to allow the reality of Christ’s love to flourish and abound in your life? What will you sacrifice daily to make room for more of God in your life? The beauty of this is, when we allow something to die, God brings something more meaningful and powerful to life in us. 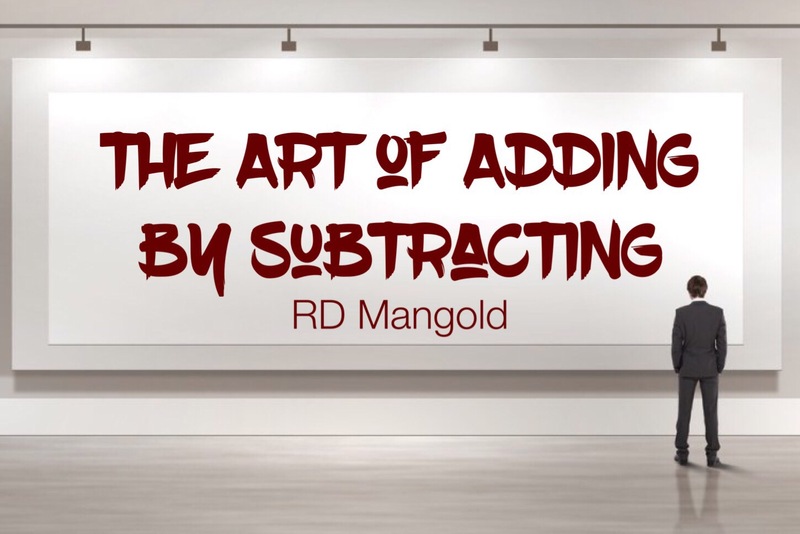 And, this my friend, is the art of adding by subtracting.